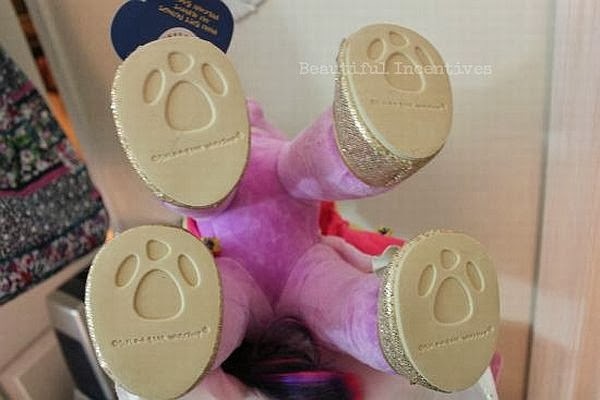 Beautiful Incentives: Does your child Love My Little Pony? This is a must see! Plus, Giveaway! Does your child Love My Little Pony? This is a must see! Plus, Giveaway! 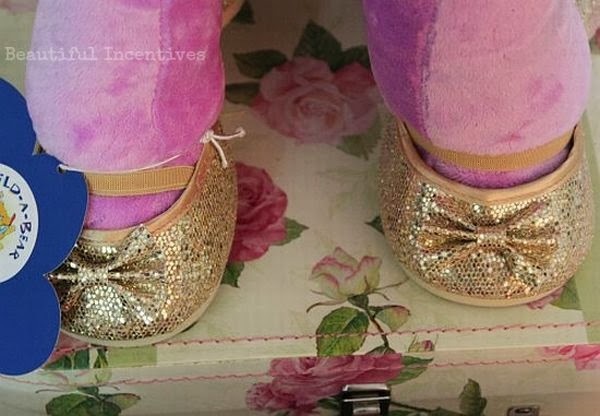 I was overjoyed to review for Build a Bear, a company that enables you to build your own bear from scratch. Online or in store in their bear workshop. Its the perfect place to get high quality stuffed animals in a HUGE variety of characters adorned in unique customized outfits. You really have to see this place in person to gather how much of a treat it is. It's a great place to take your kids for their birthday. Kids always have a fun time there! If you want to be entered to win you MUST leave a comment. It is the only mandatory entry. All other entries will get you closer! My daughter would probably pick a cat! Princess Twilight Sparkle pictured above. So cute! Thanks for the opportunity! 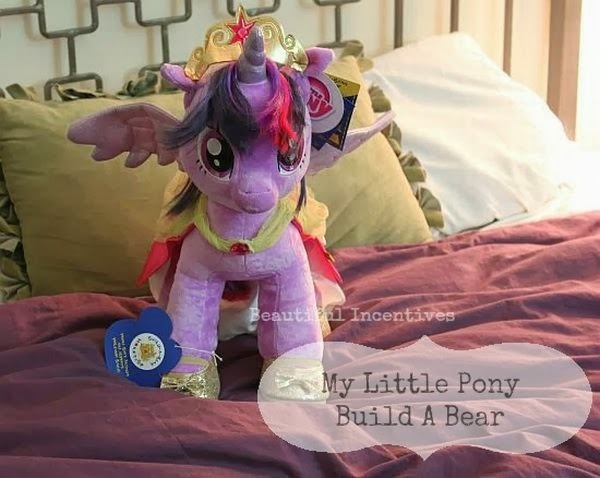 I'd get Princess Twilight Sparkle - it would be the perfect birthday gift for my oldest daughter, who has loved My Little Pony her entire life. My little girl would LOVE rainbow dash! ty! 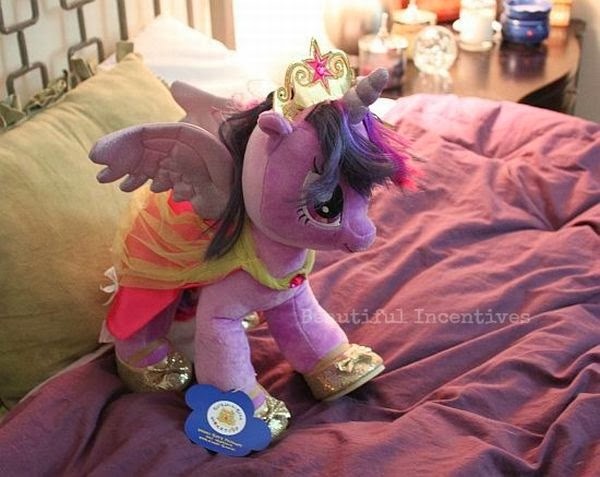 I'd buy Princess Twilight Sparkle! My son loves monkeys. He'd love the 18 in. Cheerful Monkey. I would buy Twilight Sparkle. We'd get a hello kitty. Probably a motorcycle teddy bear! My daughter really wants Twilight Sparkle. We would get Rainbow Dash. That is my daughter's favorite pony! Hmmm...too many to pick from. Probably a bear though. My daughters favorite is Princess Twilight Sparkle. My son wants the Pirate Bear!! He would be so excited if I won this for him! He spends countless time surfing the Build a Bear site! My oldest daughter would like the 16 in. I Love One Direction Bear. Thank you! Twilight Sparkle or Rainbow Dash! Rainbow Dash or Twilight Sparkle! I would probably go with one of the puppies! Rainbow Dash or Pinkie Pie! I would get the White Tiger! Or Rainbow Dash would be great for my niece! Definitely the My Little Pony! Rainbow Dash! I hear that name all day long from my girls! My daughter LOVES going there! Thanks for the chance! I will take my niece and let her decide. If I win I will be getting either the 15 in Lil' Almond Cub or the My Little Pony Spike the Dragon for a Christmas gift for a little one in the family! They dont have pinkie pie anymore so rainbow dash. My daughter really wants the sea turtle! I bet my daughter would want Pinkie Pie, that is her fave! I would get the 16 in. Bearemy's Kennel Pals® Pug! It's so cute! It will either be the penguin or or one of the Hello Kitty's. My daughter would love My Little Pony Rainbow Dash! 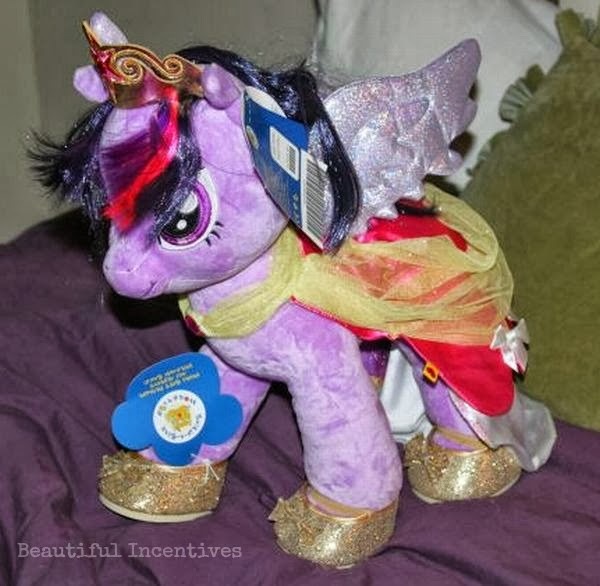 My daughter would LOVE her own Twilight Sparkle!! I like the smallfrys® Tropicolor Teddy. I like smallfrys® Tropicolor Teddy. I would get the 16 in. My Little Pony Rainbow Dash and the Mini Spike the Dragon! I would buy Hello Kitty. My nephew would most likely pick a dog. I'd love Hello Kitty, I'm a huge fan.